Delicious, sweet, animal-free, non-dairy French Vanilla pudding! Each 3.8 oz. 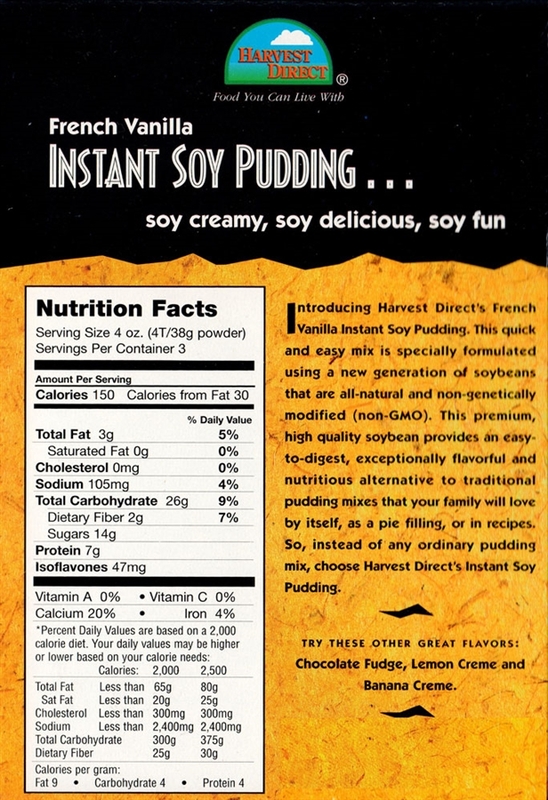 package makes 3 servings of delicious, vegan, French Vanilla pudding. EXCELLENT vanilla flavor in our frosting on vegan muffins. This pudding has a great flavor but kind of reminds me of a protein shake. Maybe I didn't mix it enough? not good, did as instructed no heating it might of needed it, blended it for 3 min let it cool for a few hours. I ate it all but not buying it again.